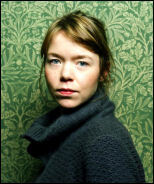 Anna Maxwell Martin, the steely star of the BBC adaptation of Charles Dickens’s Bleak House, is to take up the daggers as Lady Macbeth when she makes her debut at the Young Vic in a radical new production, opposite her stage husbandJohn Heffernan. Macbeth, which will open at London’s Young Vic in November and then transfer to the partner theatres, Birmingham Rep and Home in Manchester, will feature a company of actors and dancers. It is being jointly created by director Carrie Cracknell and choreographer Lucy Guerin, who brought an acclaimed Medea to the National Theatre last year. Heffernan, also appearing for the first time at the Young Vic, recently starred in the RSC Oppenheimer, and in the BBC’s gothic fantasy adaptation of Jonathan Strange and Mr Norrell, and as Edward II at the National Theatre. HE IS television's hottest hunk and now a second Beverley actress is to star alongside him. Aidan Turner set pulses racing as the star of BBC hit series Poldark, when he appeared alongside Eleanor Tomlinson, also from Beverley. Now, Turner is to head the cast in another major BBC One series, this time starring another Beverley actress – double Bafta award-winner Anna Maxwell Martin. Maxwell Martin and Turner are in a stellar cast lined up for a BBC One adaptation of the Agatha Christie thriller And Then There Were None, due to be broadcast over Christmas. The adaptation of the bestselling crime novel features stars including Miranda Richardson, Charles Dance and Sam Neill and is expected to be another BBC hit. Retired Beverley High School teacher Helen Gallifant remembers Beverley actres- ses Anna and Eleanor from their days at the girls' secondary in the town. She said: "I'm sure a lot of people in Beverley will be following both Anna and Eleanor's careers. Wave goodbye to Downton Abbey, say hello to Anna Maxwell-Martin as a country vicar with a sideline in exorcisms in ITV’s new supernatural drama. ITV said: “She’s become one of the few women priests working as an exorcist - a job increasingly mistrusted by the modern Church and rarely talked about, even though it operates in virtually every diocese in the UK.” David Threlfall plays Rev Huw Owen, a deliverance ministry tutor and Merrily’s mentor. Based on Phil Rickman’s novels, the screenwriter is Stephen Volk whose banned BBC play Ghostwatch was recently voted by viewers one of the scariest TV moments of all time.